Embrace your creativity with The Shape of Ideas. What do ideas look like? Where do they come from? Explore these questions and more with this beautifully-printed collection of Grant Snider's Incidental Comics on the creative process, published by Abrams ComicArts. "Grant Snider's work delivers introspection, humor, and inspiration in visually stunning drawings. They are a colorful look into the creative process—from the moments of quiet contemplation to the days of frenzied desperation." "Grant Snider’s The Shape of Ideas is a creative kaleidoscope of humor, insight, and truth. An inventive window into the creative experience filled with hope and encouragement for daydreamers and doodlers, sketchers and scribblers, inventors, explorers, and spinners of yarns." "He’s created something unique: a synthesis of comics, philosophy, and poetry: a thoughtful new way of packaging eternal ideas in cartoon boxes." 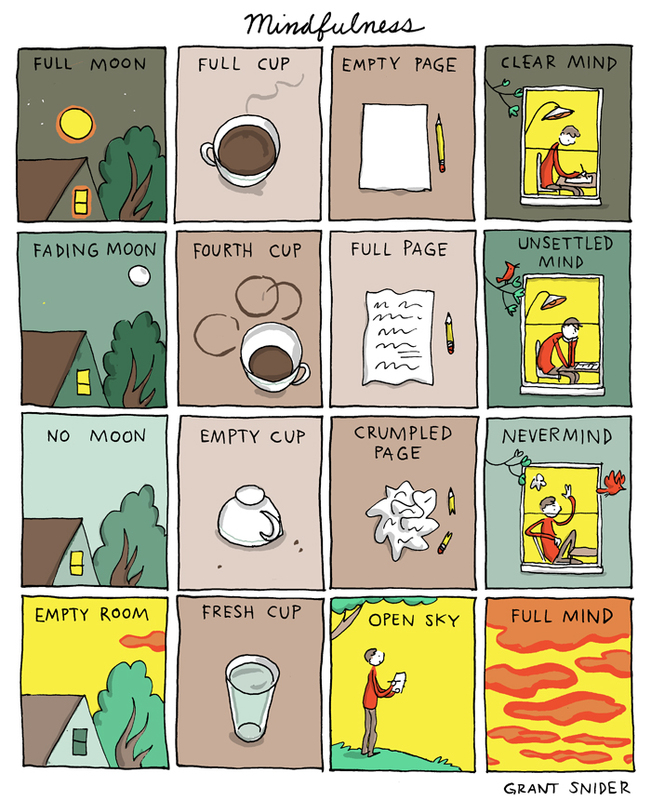 Grant Snider began drawing and writing before he knew what he was doing. Soon it was too late to stop. His work has appeared in The New York Times Book Review, The Kansas City Star, The Best American Comics 2013, and all across the internet. Grant lives in Wichita, Kansas with his wife, daughter, and three sons. He has a day job as an orthodontist. You can often find him carrying a sketchbook, lost in his own thoughts.